Building Stairs - What Is Your Take? I have never been a fan of small stairs or sloppy, steep stairs. I have always loved wide stairways - stairs that tempt you to want to climb up and down several times a day. 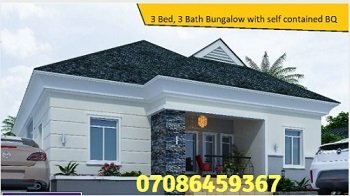 Unfortunately, many home owners in Lagos Nigeria are stingy with space. And some actually consider stairs a necessary evil. They would be excited if they could find a way to convert the space for stairs into another room that will earn them extra rent from their property. Talking seriously, stair design is big deal. I learnt that lesson when I bought a standing, large-size gas cooker in the first apartment I lived in Lagos Nigeria. The balcony was small and so was the stairway. Moving the gas cooker upstairs to my flat with my wife was a tedious task. It was nothing to be excited about. Most home owners with storey buildings like to live upstairs so they have an aerial view of their property and the environment. But don't punish yourself with a narrow stairway. It's a mistake you may live with for life.